On Being Evacuated: It’s every volunteer’s worst nightmare. Today volunteers in Guinea, Sierra Leone, and Liberia received the information that we will be sent home for an undetermined amount of time as a cautionary move against the rising risk of Ebola. Electron micrograph image of the Ebola virus. Friends and family back home are overjoyed at the news, but volunteers in-country are stumbling around in a state of shock. Projects that have taken months of sweet-talking the authorities, grueling grant applications, planning every step of the way have to be left now – postponed indefinitely. Bags must be packed. Close of Service dates for volunteers preparing to leave will be moved up. Pre-service training has been stopped dead in its tracks for the recently arrived group of volunteers. Somehow, we must all find the words to explain to our friends and host-families the harsh truth that we are leaving and don’t know when we will be back. 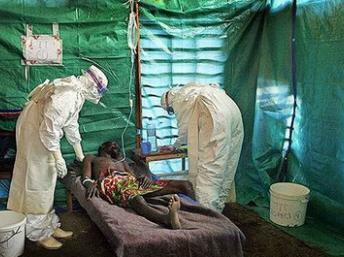 The Ebola outbreak began in the Forest Region of Guinea in February 2014 and was quite a shock. The word “ebola” conjured up images of bleeding, vomiting, dying and astronaut-style HAZMAT suits. But, looking around my village I saw that nothing had changed. 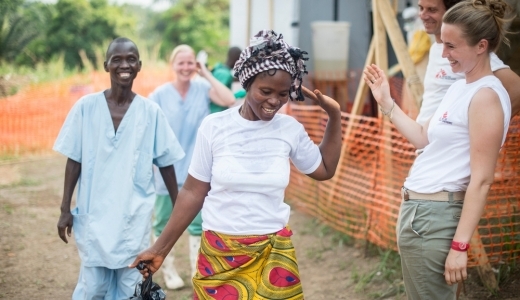 Ebola was here now, but it seemed too far away to be dangerous to me and my village. It was more likely, and still is, that people in Guinea would die of malaria or malnutrition than a deadly viral hemorrhagic fever. I remember calling my mother to dispel her fears. She’s a reasonable woman but even she imagined that I was living through some sort of ‘zombie apocalypse’ with infected patients roaming the streets looking to pass on their contagion. Over the course of the past five months, Peace Corps Medical Officers (PCMO’s) have taught us how the disease is spread, instructed us to avoid ill people and funerals, and placed a ban on working in local health centers. Once Ebola became a daily used word in my Peace Corps vocabulary, the initial shock wore off and I spent more time dealing with worrying friends and family members back home than worrying about my own health and safety. I’ve been carefully following the outbreak, receiving updates from PCMO’s on new confirmed and suspected cases, and have felt safe the entire time. Other more anxious volunteers posed the question lurking in the back of all of our minds – “Could we be sent home for this?” I always assumed that the answer was a resounding NO. Day to day life at my site has hardly been affected, save for new radio spots educating the public on how to avoid contracting the virus and the occasional news report that more cases have been confirmed. 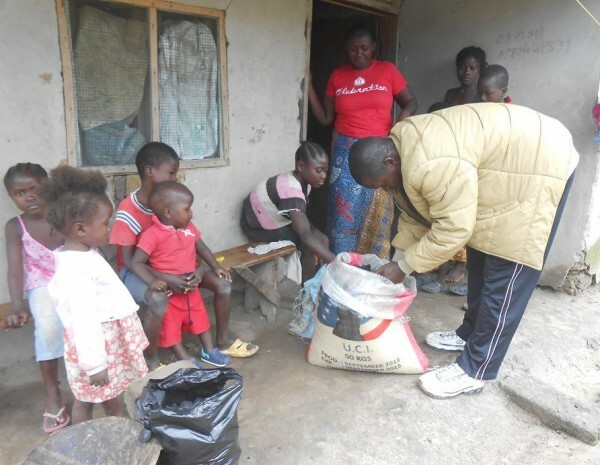 I’ve taken every opportunity to educate people in my village about the seriousness of the illness and how to minimize risk of contracting it, but as time has gone on so has life and the outbreak seemed more and more distant to us in Koba. I’m devastated to be leaving. Truthfully, it hasn’t yet hit me. How does one face their family — because that is what my community has become — and tell them that I must leave while they must stay? It is another example of the astounding privilege I have as an American, and perhaps the heaviest blow of them all. I am not any better than these people; I have simply been more blessed in the game of chance we call life. I get to leave while they must stay. My country has decided the risk is worth removing me — but who will be their hero? Who will help Guinea? Sierra Leone? Liberia? Distrust of Western medicine may have less to do with superstition than with history: forced sterilizations in Peru; the intentional infection of Guatemalans with gonorrhea and syphilis; marketing campaigns urging mothers in countries lacking safe water supplies to replace breastfeeding with infant formula so that women could work in western-owned factories; the sale in Africa of pharmaceuticals that passed their expiration date for sale in the West; the harvesting of organs in India for transplants to wealthy foreigners. Attention to sorcery rather than the inequalities of globalization obscures the fact that the biggest leaps in life expectancy in the U.S. and Europe came about because of massive government-funded public health measures — sewage systems and clean water supplies – not because we gave up our religious beliefs. 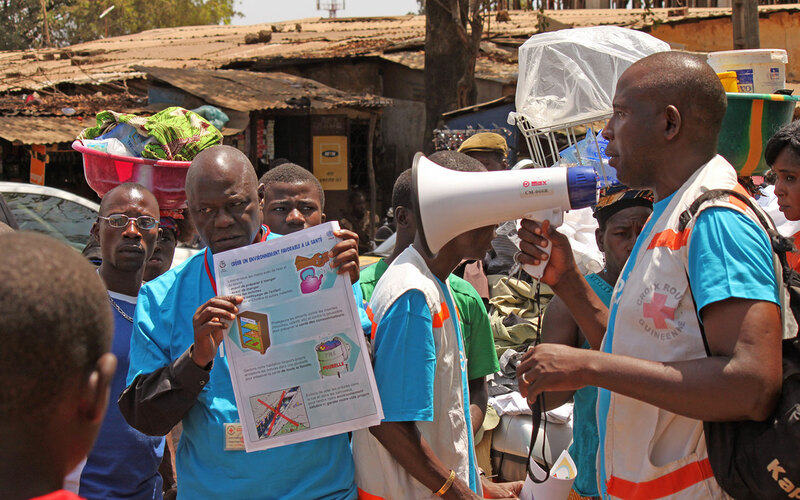 UN workers teaching the public about Ebola symptoms and how the virus is spread. As always The Onion, a satire news organization, has hit the nail on it’s odd little head with a recent piece entitled “Experts: Ebola Vaccine At Least 50 White People Away” with a fictional doctor stating that “waiting more than 50 white people for an effective preventative measure was something the world would simply not allow.” As I am now forced to leave, I worry about the world allowing this outbreak to continue and leaving Guinea behind. Leaving West Africa behind. Now is a time for action. We must step up, we must help. We must contain this outbreak. More doctors are needed. More equipment is needed. More education is needed. More government support and action is needed. We can start by contributing to Doctor’s Without Borders (click to donate) and by remembering that real people are involved, who are very uneducated and scared, and remembering that we also need to educate ourselves before we jump to immediate panicked conclusions and assume that the fault lies at the hands of those suffering from this illness. 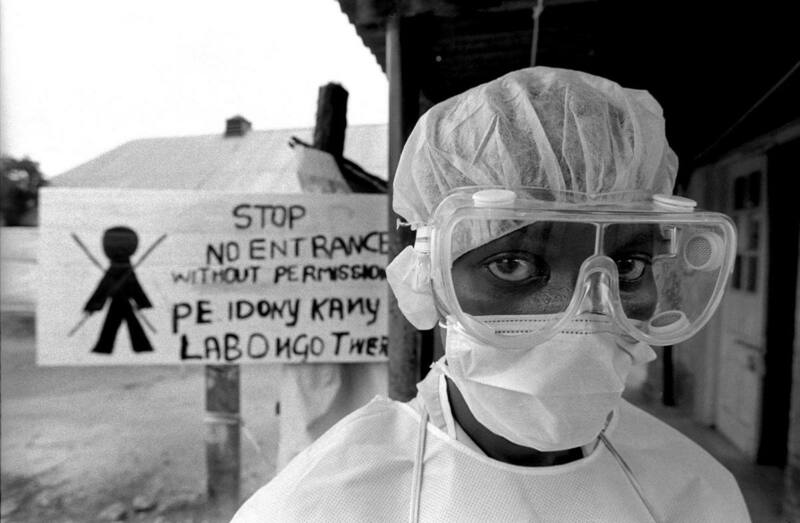 Perhaps our obsession with the horrors of Ebola says more about us than anything else. That it kills so rarely, and, for many of us, so far away makes it more nightmarish to contemplate. Absolutely horrific, sure, and yet, could you really argue that stage IV metastatic cancer is any less gruesome? Fearing Ebola is morbid escapism, a way to flirt with the inevitability of our own demise, to ponder the frailty of our own ineffectual meat sacks. 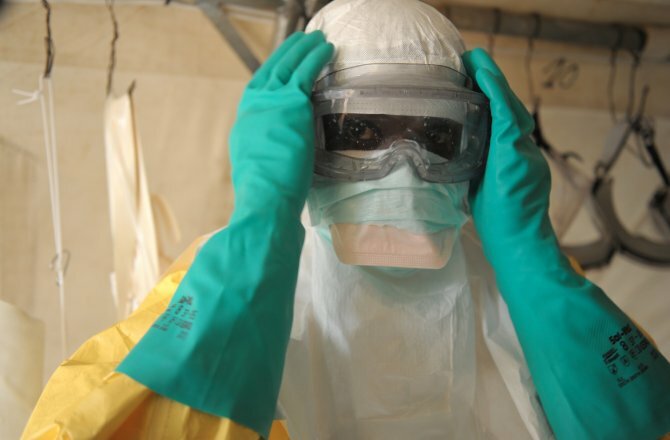 Ebola is our macabre fantasy not because it’s likely, but because it isn’t. To many in the West, Ebola matters not because of what it does and how it kills; it matters because of what it represents. My prayers are with all Guineans, Sierra Leonians, and Liberians. May God help these people and grant a quick end to this devastating outbreak. Please keep them in your prayers and thoughts. 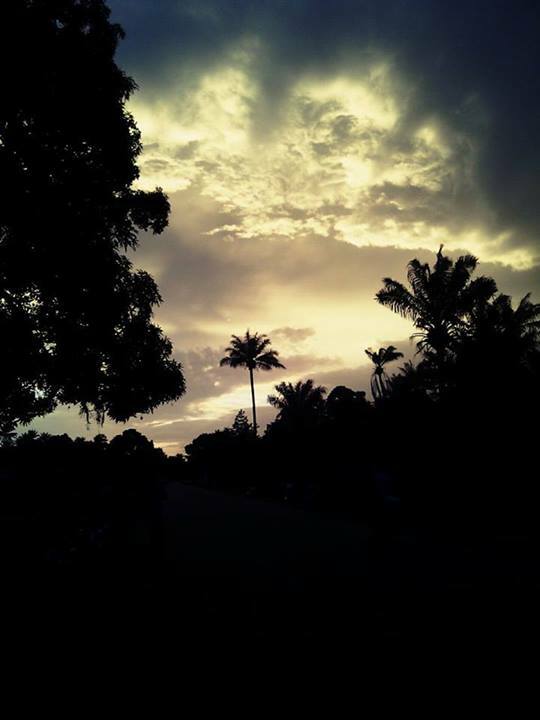 My heart is with the village of Koba and will remain there until I can safely return. Updates to follow as they come.